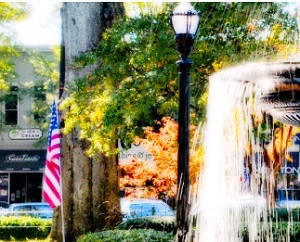 Cobb County, GA is culturally vibrant, refreshingly diverse, easily accessible and effortlessly hospitable, it's everything you love about being close to a world-class city, with the warmth and history of your favorite neighborhood. Jan 29.0 F° 39.6 F° 50.2 F° 5.5 "
Feb 31.6 F° 43.5 F° 55.3 F° 5.0 "
Mar 38.5 F° 51.1 F° 63.6 F° 5.7 "
Apr 45.3 F° 58.6 F° 71.9 F° 4.2 "
May 54.3 F° 66.5 F° 78.7 F° 4.4 "
Jun 62.2 F° 73.7 F° 85.2 F° 4.0 "
Jul 66.8 F° 77.7 F° 88.6 F° 4.5 "
Aug 65.8 F° 76.6 F° 87.3 F° 4.3 "
Sep 59.6 F° 70.8 F° 82.0 F° 3.8 "
Oct 47.0 F° 59.8 F° 72.5 F° 3.5 "
Nov 38.7 F° 50.7 F° 62.8 F° 4.0 "
Dec 31.7 F° 42.6 F° 53.5 F° 4.2 "
Spring temperatures are cool with averages in the upper 50's and highs in the low 70's. Nights are cold with lows in the mid 40's. Summer temperatures are warm with averages in the mid 70's and highs in the upper 80's. Nights are cool with lows in the mid 60's. Fall temperatures are cool with averages in the low 60's and highs in the low 70's. Nights are cold with lows in the upper 40's. Winter temperatures are cold with averages in the low 40's and highs in the low 50's. Nights are cold with lows in the low 30's.